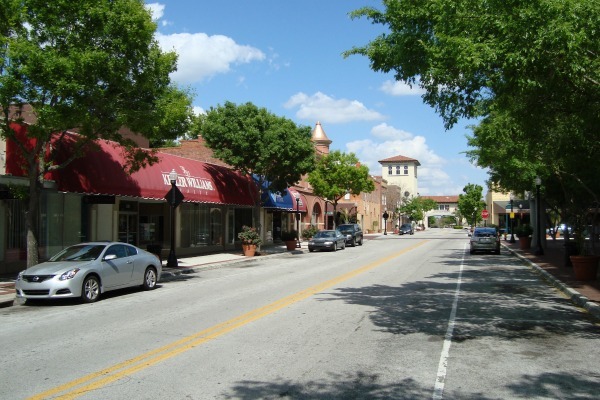 Lakeland is a city of about 90,000 people in Polk County, Florida. It is in the I-4 corridor between Orlando and Tampa in the center of a metro area that has more than 500,000 people. The town is really a small city and is one of the prettiest of all Florida towns. It is liberally dotted with beautiful small lakes and has a large swan population that lives and prospers among the lakes. Swan sculptures are placed all over town and seem to be the mascot of choice. Lake Morton and Lake Mirror are in the downtown area, and are home to hundreds of swans. The beautiful birds are fed and cared for by the City of Lakeland. Lakeland was first settled in the years after the Civil War, and began to grow quickly once the railroads came to town in 1884. The town was founded by Abraham Munn, who purchased 80 acres in what is now downtown Lakeland. 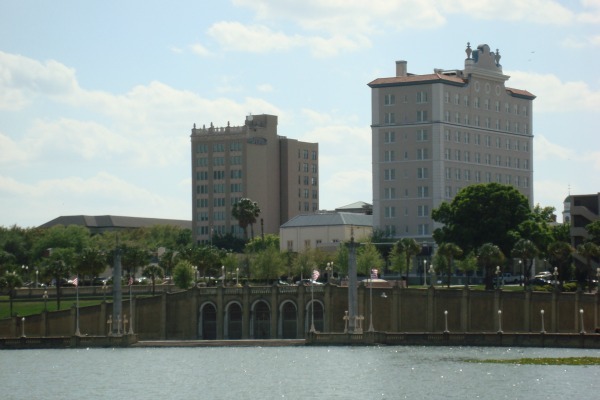 The Florida land boom of the 1920's saw many major buildings go up in downtown Lakeland. Many of these are still standing and are on the National Register of Historic Places, including the Terrace Hotel and New Florida Hotel, now known as Regency Towers. Lakeland also has numerous historic districts with buildings that go back the the 1920's, 30's and 40's. Many parks are in these neighborhoods, including several of them around Lake Mirror. 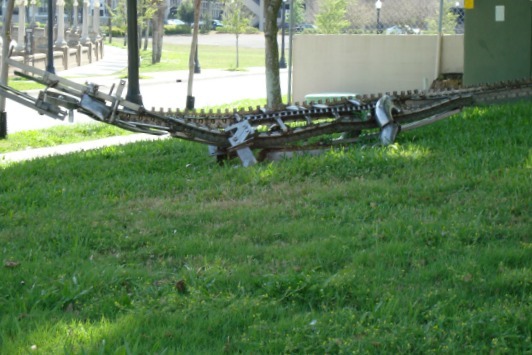 Statuary of birds and animals are abundant throughout the downtown area of this beautiful town. 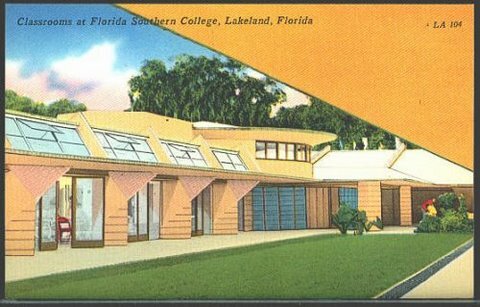 Frank Lloyd Wright came to town in 1938 and spent the next 20 years working on designs for various buildings on the Florida Southern campus. He designed 18 buildings, and 9 of them were built and are still standing. 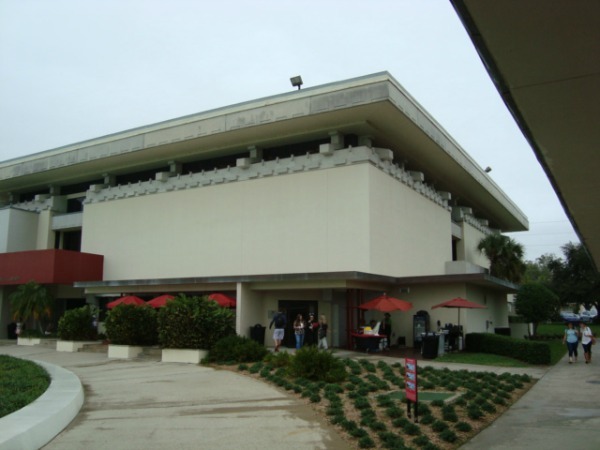 Florida Southern has the largest collection of Frank Lloyd Wright buildings in the world. It was recently announced that the school is going to build one of Wright's famous Usonian homes on campus. 18 structures on campus were designed by Wright, and are still functional today. This collection is named Child Of The Sun, and includes the first of Wright's buildings to be completed, the Annie Pfeiffer Chapel. The chapel was started in 1938, dedicated in 1941 and partially restored in 2007. Other buildings are in various stages of restoration, and the entire campus is on the National Register of Historic Places. The Child Of The Sun Visitor Center offers guided tours of the Wright buildings during summer for $15/person for a basic one hour tour, and $30/person for a two hour in-depth tour. Self guided free walking tours are also available all of the time, and tour maps are liberally located throughout the campus. The visitor center is open Monday-Friday 10am-4pm, Saturday 10am-2pm, and Sunday 2pm-4pm. The grounds are open 24 hours/day and many of the buildings are open. You can call 863-680-4597 for more information. 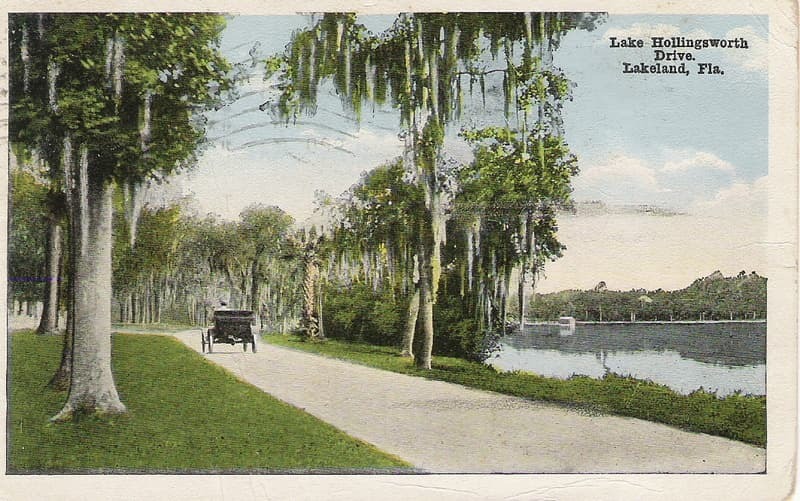 For many years, up until the 1970's, Lakeland's nickname was the "All American City". It was considered a bellweather for all of the United States. It was believed that if a concept worked in Lakeland, it was likely to succeed elsewhere. In 1968, I had lunch at the first Red Lobster to ever open in this country on the first week it opened. It was on Lake Ellenor Drive on Lake Parker. My fried flounder platter cost $ 1.69. The same meal today is about 8 times as much. Lakeland is also the home of Publix, Florida's premier grocery chain. It's founder, George Jenkins, died some years ago but is fondly referred to by Publix employees as "Mr. George". Former US Senator and Florida Governor, the late Lawton Chiles, was also a native of Lakeland. 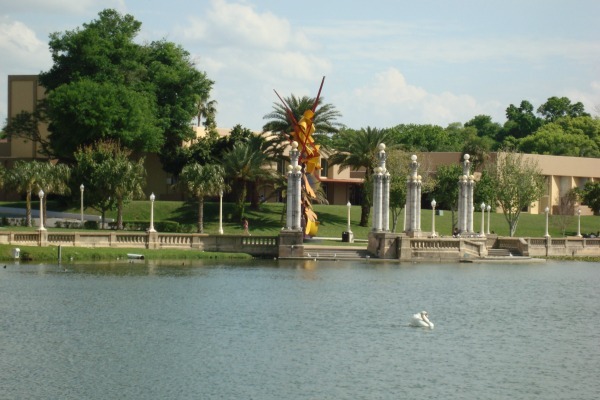 Today's Lakeland Florida is a great place to visit, shop, dine and just enjoy the parks and swans. This hotel was built in 1924 and was restored to luxury hotel status in 1998. It has 73 guest rooms and 15 suites. This great place in downtown Lakeland is on the National Register of Historic Places. I enjoy Southern, Cajun and Creole food. 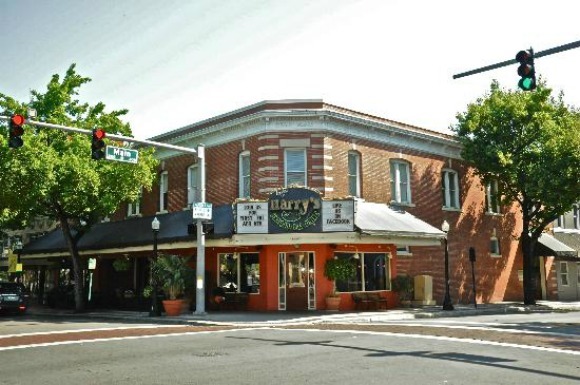 Harry's is one of the best places to find this food in Central Florida. It is conveniently located in downtown Lakeland and is not only a great restaurant, but has a nice little bar scene as well. The interior is light and cheery, and you have your choice of dining inside or outside on a patio that fronts the street with a lovely park on the other side. Their menu features some fantastic appetizers including Boudin Balls, a New Orleans favorite with Cajun sausage, rice and Creole seasoning deep fried and served with a remoulade sauce. Another great one is VooDoo Shrimp, sauteed in a Creole style garlic herb butter sauce. I love their Harry's Original Gumbo She Crab Soup of the Day. They also have a great selection of salads along with hamburgers, sandwiches and fish or shrimp tacos. Their Bourbon Street Favorites menu includes Jambalaya, Shrimp Etouffee, Shrimp n Grits, Chicken and Grits. Their Signature Dishes feature Salmon Rockefeller, Shrimp & Scallop Orleans, Chicken Baton Rouge, New Orleans Rib Eye and a host of southern and Cajun style side dishes like red beans and rice, sweet corn grits, collard greens, and fried grit cake. Their dessert menu is just as extensive as their main menu. 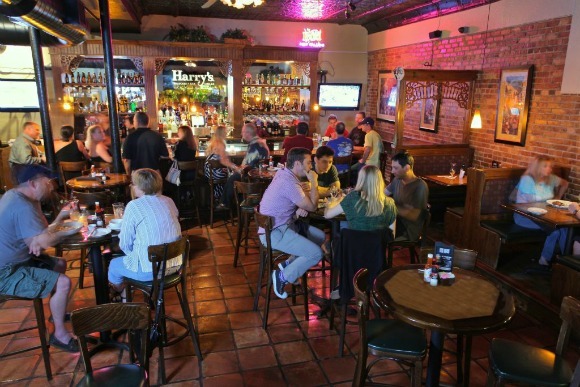 Harry's has a full bar with a wide selection of wine, craft beer, and a large collection of specialty cocktails such as a Cool Goose Martini and a Rhythm & Blue Margarita. Harry's is open Sunday through Thursday from 1100 am to 1000 pm and Friday and Saturday from 1100 am to 1100 pm.